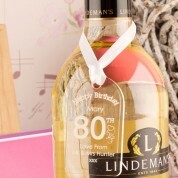 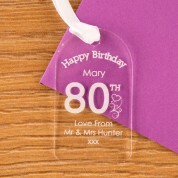 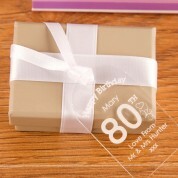 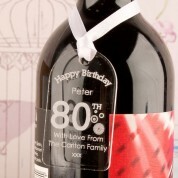 An acrylic tag will add a personal touch to a special birthday gift. 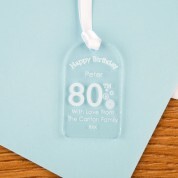 A personalised tag is a unique idea that doubles up as a gift as well (acrylic tags are more likely to be kept unlike paper tags that end up in the recycling bin). 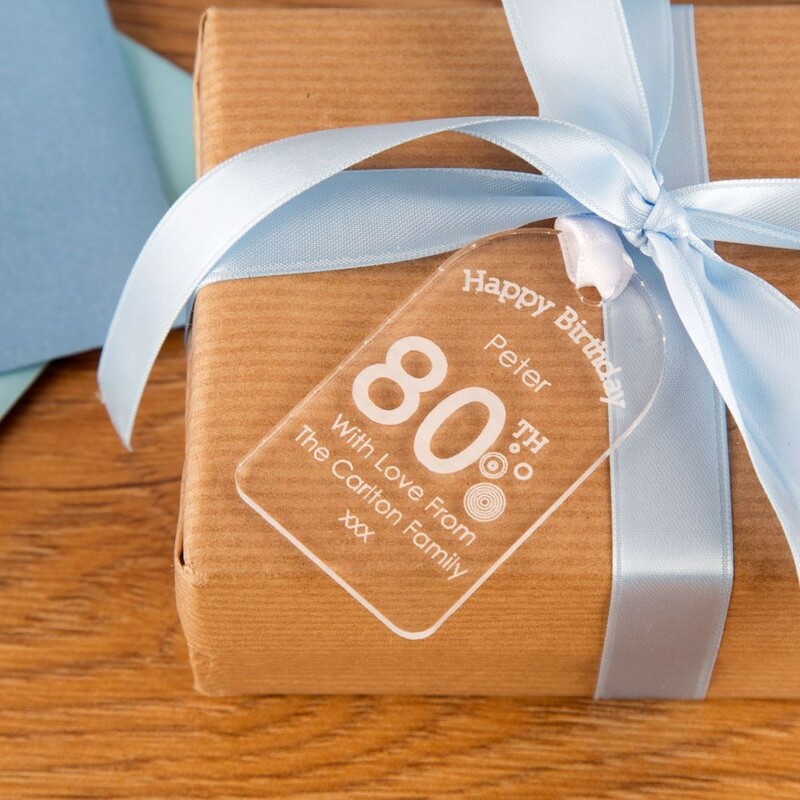 Each tag is laser engraved in house with the recipient's name and love from message so is custom made for each birthday recipient. 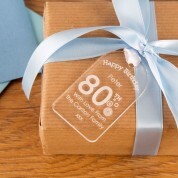 The loop of ribbon that is supplied with the gift makes it easy to attach this tag to a parcel, a gift bag or around the neck of a bottle.